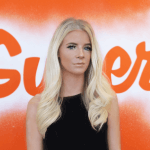 Since beginning working at Superfly I’ve really learnt the ins and outs of social media and the benefits it can have on a business. From what I’ve already experienced, there’s so much more to social media than people really think. A lot of companies only see this type of marketing as a publishing platform for their business, but it actually has the ability to build a company to success. From listening to customers, growing connections, increasing brand awareness and improving consumer loyalty, the opportunities that a business has through social media marketing can really influence the overall performance and success. To understand the importance of this service I’ve decided to write this blog to share 4 different reasons of why I think social media can transform a business strategy. The main benefit and probably one of the most important aspects of social media marketing includes building up brand awareness for your business. Developing visibility on social media not only increases brand exposure but also has the potential to grow a network and build up a strong following which can lead to further recognition. Online platforms allow you to target a wide range of people in an instant which is the benefit of being a much faster service over traditional marketing methods. Social media has the ability to extensively reach out to a lot of people and the more people the brand is exposed to the more potential consumers will be aware of the business. When customers are looking for a product or business it is highly likely they will choose to go with a brand they’re familiar with or recognise through social media. Red Bull is an example of a business that successfully uses Facebook campaigns to drive brand awareness. With over 47 million Facebook likes, the company uses video content to engage and interest their audience. Red Bull have delivered this strategy by publishing entertaining, vibrant and exciting content that promotes their brand values. They sell a way of life through video that people want to be involved in rather than directly selling a product. Engagement with customers will not only lead to brand awareness and recognition but communication is vital to maintaining a strong relationship with customers which helps build a brand presence. Regularly sharing and interacting with customers will raise the business and establish a strong brand profile. It has been previously noted how social media has the benefit of humanising interaction via companies and customers which can help connect the audience to the business successfully. When customers discover a business or brand elsewhere it’s more than likely that their social media pages will be one of the first places they will go to to find out more about the business. Being consistent and relevant with social updates makes customers aware that the brand is active, leading to engagement. Your strategy on social media should be an expansion of your customer service approach, however there’s no point being on social media if you’re not being effective with it. Being attentive and engaging with customers can effectively represent your brand’s positioning in the future. Many customers these days use social media as an initial port of contact with businesses and so offering a quick, friendly response through all social media platforms will establish a relationship with customers which will lead them to a positive outlook of your business in the future. It’s surprising how following up any enquires, reviews or comments with customers quickly and professionally can really make the customer feel valued, leading to brand loyalty. Social media also helps to promote a high customer service level through design, content and engagement which establishes a positive impression on the company. 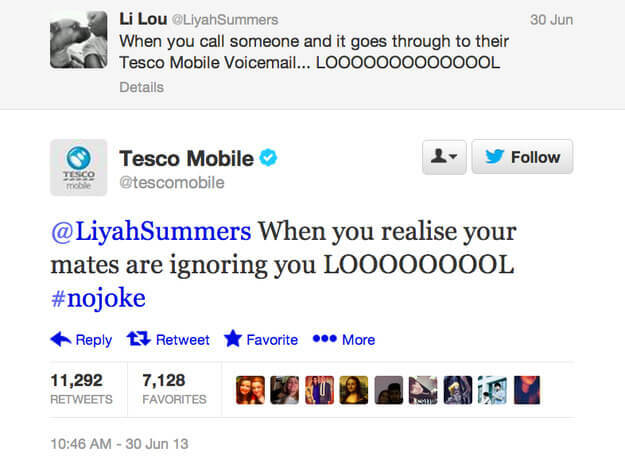 Tesco is a company that is known for their popular customer service approach through social media. Responding to customers in record time and showing a sense of humour through their replies on Twitter has known to be really effective with customers. Using social media to promote other marketing aspects of your business is a must. Whether it’s email marketing, website, advertising or SEO that your business uses, using social media campaigns can drive interest and lead to high conversion rates. Building an online following will encourage trust and credibility which can effectively benefit other promotional methods of your business. Thank you for another interesting read. Not sure what a hypnotherapist could Twitter about? Although I have wanted to leave a free MP3 for meditation on my website but don’t know how. Hi Rachel, thanks for your comment. There’s always something to tweet about. You can upload music files directly to the website, or add them as a free download using autoresponders on Mailchimp or Campaign Monitor. Pop us an email to find out more!